CIT vs. Sri Marikamba Transport Co.
Vineet Saran & S.Sujatha, JJ. K V Aravind, Adv., for the Appellant. : Sriyuths. A Shankar & M Lava, Advs., f r the Respondent. This appeal is filed by the revenue challenging the order passed by the Income Tax Appellate Tribunal, Bangalore Bench “B”, Bangalore, dated 26.07.2013 for the Assessment Y ar 2009-10. The brief facts of the case are that the assessee has fil d the return of income for the Assessment Year 2009-10 declaring the total income of Rs.19,07,890/-. 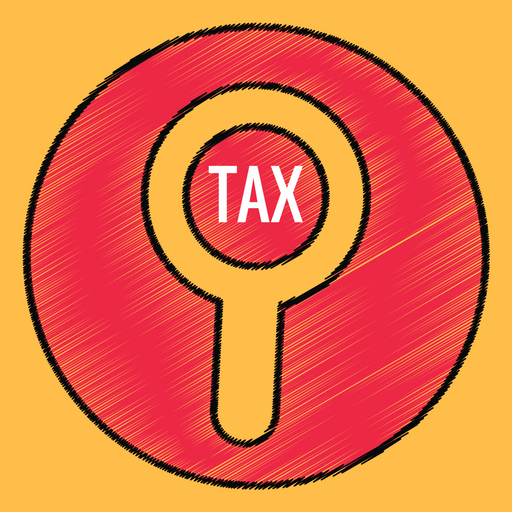 Scrutiny assessment was completed under Section 143(3) of the Income Tax Act, 1961 (hereinafter referred to as the Act’ for short) on 28 12.2011 by computing the total income of Rs. 17,82,64,920/-and while doing the said assessment, the Assessing Officer had added payments made to sub-contractors towards freight charges of Rs.17,63,57,030/-under Section 40(a)(ia) o the Act. Aggrieved by the same, the assessee carried the matter in appeal before the Commissioner of Income Tax (A), Hubli, which was allowed by the Appellate Authority, against which, the revenue preferred an appeal before the ITAT, Bangalore. The Tribunal following the Judgment of Ahmedabad Bench in the case of Valibhai Khanbai Mankad -vs-DCIT (OSD) reported in ITA No.2228/Ahd/2009 dated 29.04.2011 dismissed the appeal filed by the revenue. Aggrieved by the same, the Revenue is in appeal before chis Coiiit under Section 260A of the Act. “Section 40(a)(ia) : Any interest, commission or brokerage, rent, royalty, fees for professional services or fees for technical services payable to a resident, or amounts payable to a contractor or sub-contractor, being resident, for carrying out any work (including supply of labour for carrying out any work), on which tax is deductible at source under Chapter X\/II-B and such tax has not been deducted or, after deduction, has not been paid on or before the due date specified in sub-section(i) of Section 139″. 4. The combined reading of these two provisions make it clear that if there is any breach of requirements of Section 194C(3), the question of applicability of Section 40(a)(ia) arises. The exclusion provided in Sub-Section(3) of Section 194C from the liability to deduct tax at source under sub-section(2) would be complete, the moment the requirements contained therein are satisfied. Once, the declaration forms are filed by the subcontractor, the liability of the assessee to deduct tax on the payments made to the sub-c ntractor would not arise. As we have examined, the sub-contractors have filed Form No. 151 before the assessee. Such being the case, the assessee is not required to deduct tax under Section 194C(3) of the Act and to file Form No 15]. I is only a technical defect as pointed out by the Tribunal in not filing Form No.l5J by the assessee. This matter was extensively considered by the ITAT, Ahmedabad Bench in Valibhai Khctndbcti Mankad’s case (supra) and he aid Judgment has been upheld by the High Court of Gujarat reported in (2013) 216 Taxman 18 (Guj) wherein it is held that once the conditions of Section 194C(3) were satisfied, the liability of the payee to deduct tax at source would cease and accordingly, application of Section 40(a)(ia) would also not arise. The Tribunal, placing reliance on the judgment of the ITAT, Ahmedabad Bench, has dismissed the appeal filed by the Revenue. We agree with die said propositions and hold that filing of Form No.l5I/j is only directory and not mandatory. 5. In the circumstances, no interference is warranted with the well considered order passed by the Tribunal. Accordingly, no substantial questions of law arises for our consideration and for the forgoing reasons, we dismiss the appeal filed by the Revenue. This entry was posted in Sec. 143(3) and tagged 379 ITR, In favour of Assessee, Karnataka High Court, scrutiny assessment. Bombay H.C : Whether Rule 8D(ii) of the Income Tax Rules, 1962 was correctly applied or not ?